So when I heard that he was going to be having a show at the Halcyon Gallery on New Bond Street ~ a hop and a skip from my office ~ I knew I couldn't miss it! This exhibition coincides with the unveiling of Chihuly's Amber and Gold Chandelier in the Grand Hall entrance of Harrods in Knightsbridge ~ the first artwork ever commissioned by the store. 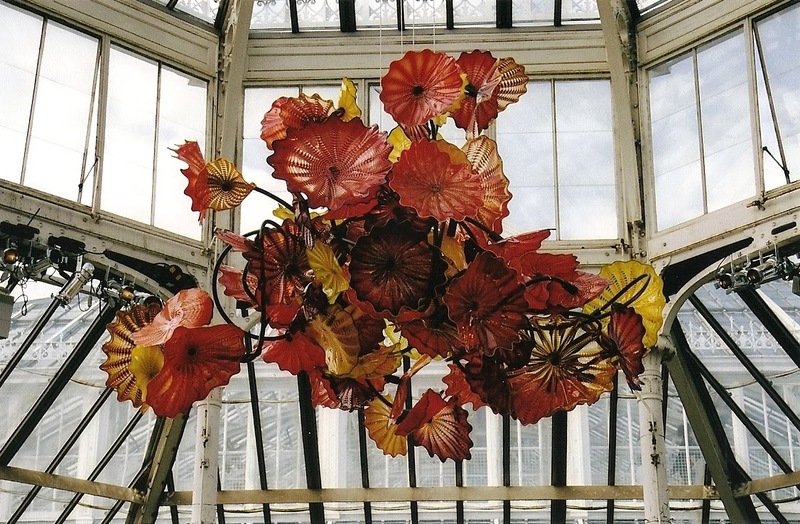 It's 16 feet wide and is made up of 1,400 hand blown glass elements. I guess that's where I'll be getting my next fix of this fascinating artist's work!